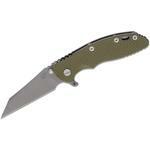 The XM-18 is known the world over as one of the toughest tactical folders regardless of your mission. Rick's focus when designing the XM-18 was a no-nonsense tactical tool ready for the simplest cutting tasks to high-speed low drag operations. It's available in a 3" model, a 3.5" model, and the 4" model is designated the XM-24. 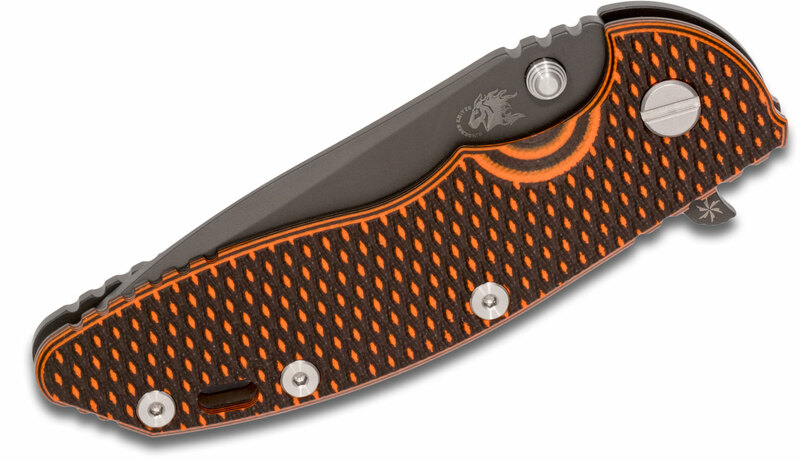 The KnifeCenter Exclusive XM-18 is a 3.5" spanto flipper variation with a black DLC finish on the blade, lockside, pocket clip, and filler tab. 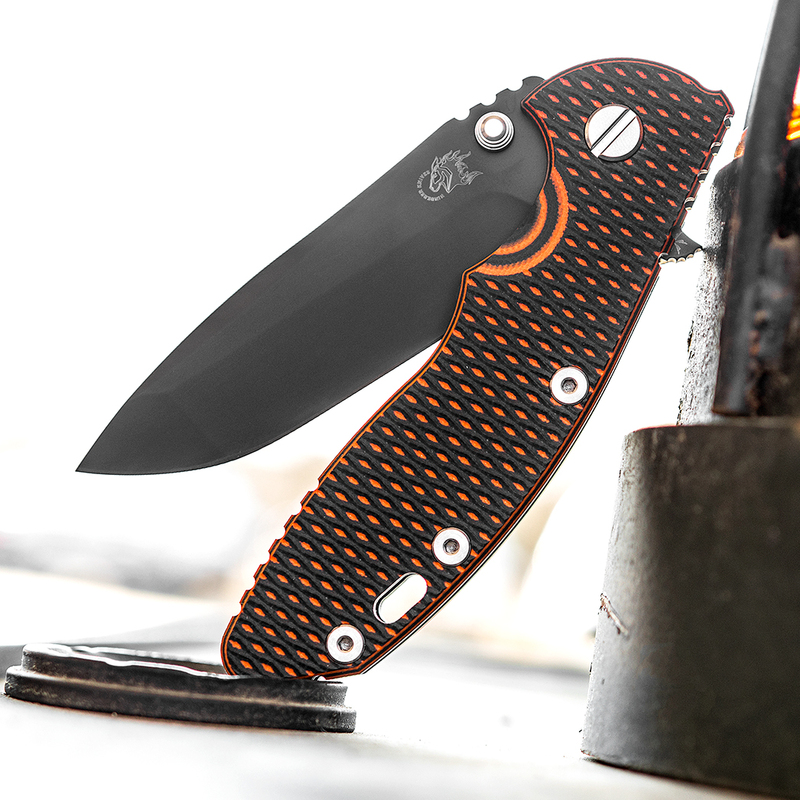 The orange and black layered G10 scale works harmoniously with the orange anodized barrel spacers for a completely customized look. The XM Series 3.5" model has a blade thickness of 0.165" and a handle thickness of 0.540", making it a perfect, hard-use design for EDC. The oversized choil permits choking up on the blade for more precise work. 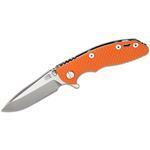 The blade locks up on a solid 1/4" diameter thumb stud which is press-fitted into the blade. This makes for a very strong lockup as there is no loosening of the thumb stud which can happen with two-piece designs. The fact that the thumb stud locks up against the frame adds an incredible amount of strength to the sideways torque of the blade as the sideway stresses are being stopped by the whole handle side, thus relieving the stress that would normally be put on the pivot. Speaking of the pivot, Rick Hinderer makes his own 17-4PH stainless steel pivots on a new state-of-the-art CNC turning center, thus guaranteeing precise accuracy. 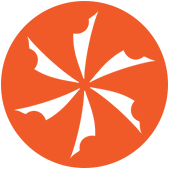 The pivot is a 1/4" barrel diameter with a 3/8" head. The pivot is drilled and tapped completely through and is mated with a custom designed screw. This system makes for an incredibly strong pivot that is easy to adjust in the field. 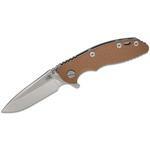 The XM folder handle shape is designed to be very ergonomic and comfortable in a wide variety of user positions. Not everyone's hands are the same size, and also grip varies greatly, so the ergonomic handle design is a great fit for all users. The textured pattern used on the handle scale is extremely grippy but does not 'bite' the hand during use. The 3D texture is designed to flow liquids (such as sweat, oils, blood, etc.) away from your skin and into the valleys of the texture. 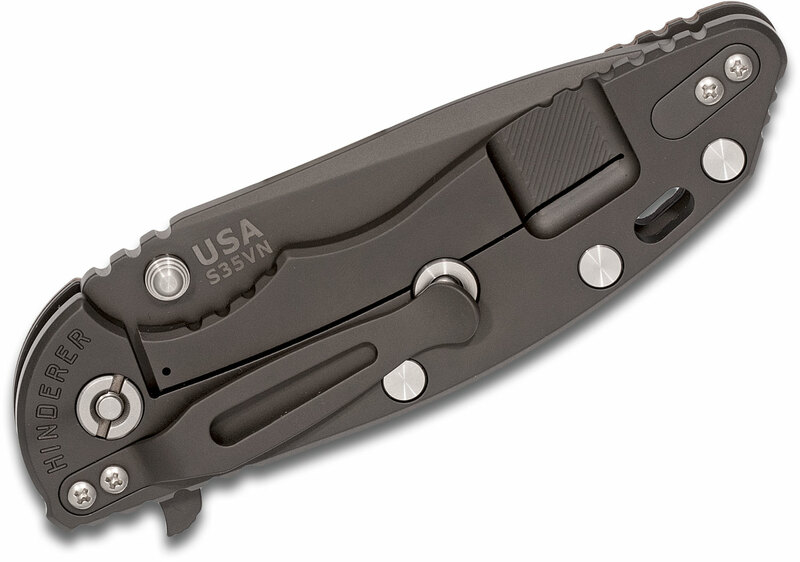 The lockside is precision CNC manufactured from 6AL4V titanium featuring the patented Hinderer Lockbar Stabilizer. The knife can be set up for either tip up or tip down carry. 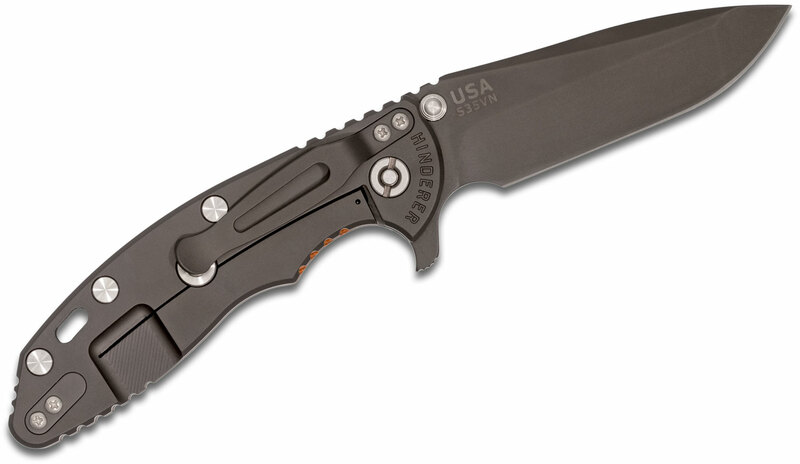 The non-lock side has a .050" titanium liner with a G10 handle scale. These high strength materials combined with the full titanium liner add strength and rigidity. The handle scales can be easily changed by the end user if another color is desired. The handle construction is an open back design utilizing huge standoffs. The standoffs are designed to add superior strength for lateral crushing of the handle case while still allowing the blade to nestle into the handle without touching the standoffs. 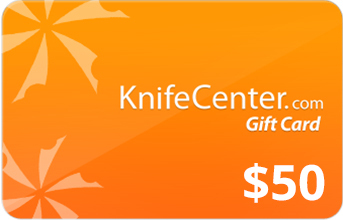 This gives the knife the same strength as a solid back folder while offering the ease of cleaning due to the open design. The materials look good , However the unfinished side could be hard on your hands .I think it is a capable piece of cutlery with 1 side that looks not completed . This knife is an absolute tank. if you want something hard use this will definitely fit the bill. the DLC coating with the black and orange scale just give it an amazing look. 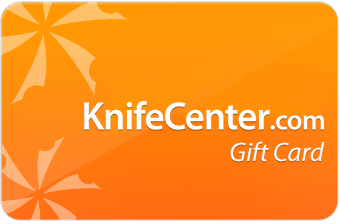 Hey, I wanted to share "Rick Hinderer Knives XM-18 3.5 inch Flipper, Black DLC S35VN Spanto Blade, Orange/Black G10 Handle - KnifeCenter Exclusive" with you from KnifeCenter.